So, you want to be top dog on the street, eh? You think you have the skills to do it? Well, maybe you do. You have the hookup. You know everything that happens in your neighborhood. You got your fingers in everyone else’s pie. But you know what you ain’t got? You ain’t got the style to be running the streets, not yet anyway. Nobody is going to respect you until you thread up like you manned up. You know that the old sweatshirt that you wear isn’t going to garner respect from anyone, even if it does say “Bazinga!” You need something that sets you apart. Something that when you walk into an establishment will have every head turning to look in your direction. You need something with a little fur. Wait, no, a lot of fur! Something with a little flare, a little leopard print. Something that'll turn every head on the block. 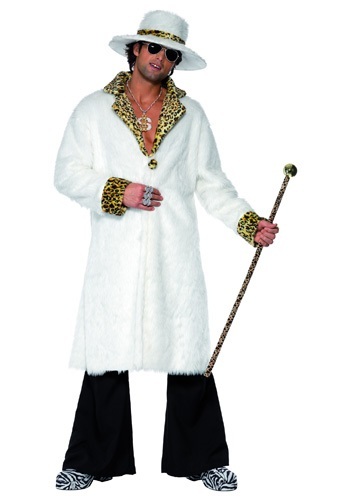 You need this Hustla Pimp Costume. Just putting it on will cement your status as King of the Streets. The soft white (faux) fur of the jacket will exude luxury, and authority. 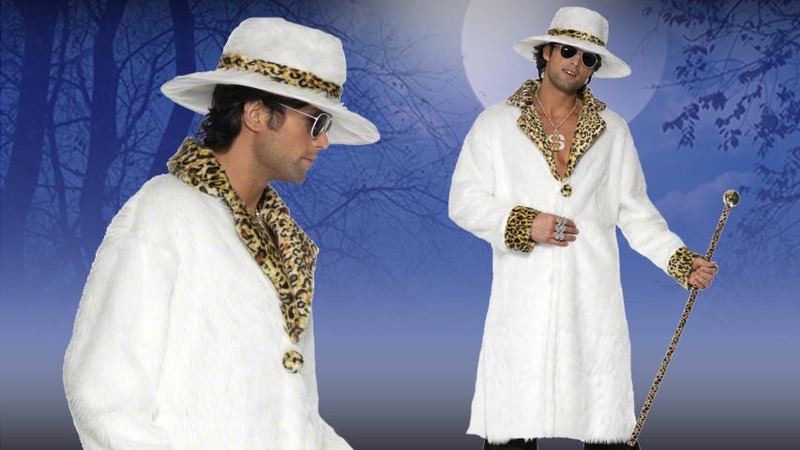 And everyone respects a man in a hat, especially a white fur, and leopard print hat. Just get yourself a pair of purple crocodile boots, and a fancy bronze cane to complete the look. No one will ever want to dispute your claim to the neighborhood. You’ll have the power to take your cut off the top of every business, all because you have the threads.